When Luis Suarez signed with Liverpool for £22,800,000 in January 2011; following his time at Ajax when he scored 81 goals in 110 matches, he and Andy Carroll were following on the footsteps of Fernando Torres’ shocking transfer to Chelsea. Together Carroll and Suarez cost nearly £60,000,000, and Andy Carroll’s transfer was at the time the highest amount ever paid by one club to another for a British footballer. While Carroll’s time at Liverpool was almost the equivalent of a botched plastic surgery, Suarez has been the complete opposite, terrorizing opposition and playing at a form that’s unimaginable to us mere mortals. His imagination and ruthless efficiency has propelled him into talk with the likes of Ronaldo and Messi. 19 goals in 12 games, 35 goals in 32 games overall; his form has helped Liverpool contend for a CL spot and perhaps even a title, certainly something we wouldn’t imagine happening the day El Nino left Liverpool Red for the famous Chelsea Blue. It’s certainly been a wonderful turnaround for Suarez, who before last yr’s explosion was known more for being part of the Patrice Evra racial abuse incident. Until the 2012-13 season, Suarez only scored 15 goals in 41 Premier League games, half the Goal/Match rate he produced for Ajax. 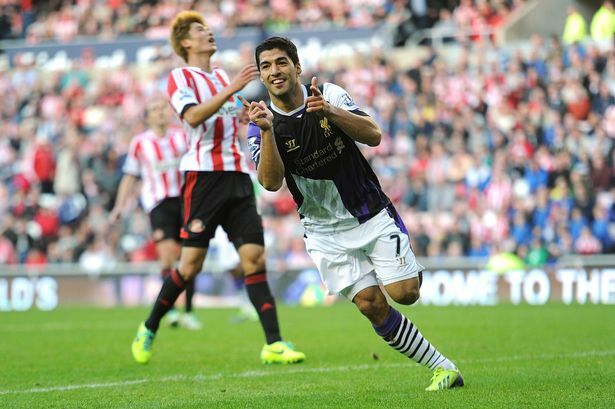 He was played as an attacking midfield, center forward, a striker; all in the hopes of bringing the best out of Suarez. It wasn’t the greatest of times for Liverpool, who’s only trophy to date came off of a League Cup final vs Cardiff City via penalties. They spent considerable money on the likes of Charlie Adam, Stewart Downing and Jordan Henderson, with Adam and Downing disappointing. Combine that with Gerrard’s apparent decline in play and Kenny Daglish’s return, and it’s easy to see why Liverpool was in worlds of trouble. Flash-forward to present day and it couldn’t be any other different. As of Christmas Eve, Liverpool sit top of the table with 36 points, the furthest they’ve been in a season on top since the 08-09 season when they were top of the table after 21 weeks. They boast the second best goal differential in the Premier League, and a good amount of this success is due to employing the best Premier League player (with all due respect to the likes of Ramsey/Ozil/Oscar/Aguerro). His runs with the ball are terrifying, his imagination and skills are sublime, and perhaps his most underrated attribute is how malleable he is for a forward. 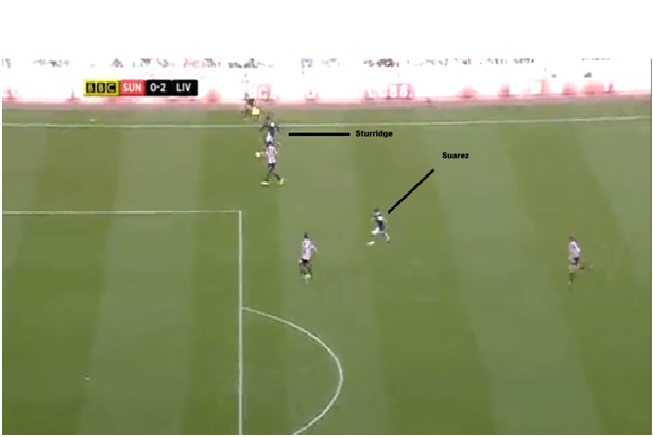 He can play as a part of a 2 in any formation, or play as a lone striker himself. 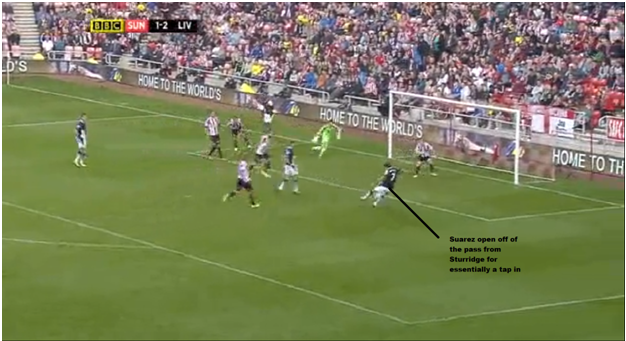 When Suarez was gone with his suspension to start the season, Liverpool played more of a 4-2-3-1 that’s adopted by most teams in the EPL, with Sturridge as the striker. 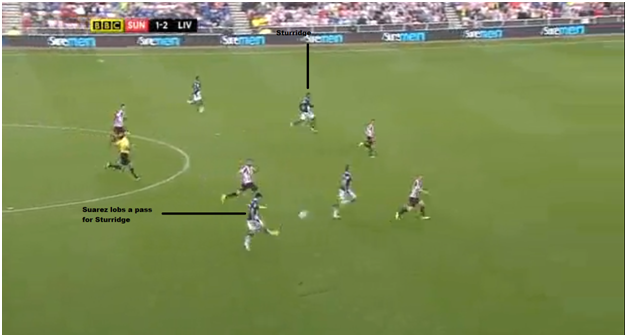 With the SAS combo, Liverpool adopted different formations to accommodate the two forwards, with even going as radical as three at the back. Though regression from his current form is probable and not a question of if but when, Suarez is without a doubt been the best Premier League player this yr. He’s parlayed his great 2012-13 season into an incredible hot streak, the likes of which we haven’t seen in the EPL. At his current pace, he’d shatter the all time record single season scoring record in the Premier League with 51. These numbers won’t hold up, but even saying that, attaining 35 goals and the record is possible. Before he was labelled a racist/cannibalistic/mercenary, now he’s simply the best player in the Premier League, and if Liverpool can thank anyone for this, it’d be The Artist Formerly Known as Fernando Torres. It took a bit of time; but with his play this season Henderson is really rounding into form as a quality, quality midfielder. This table was done before the Cardiff match in which Suarez upped his goal amount to 19 in 12 games. 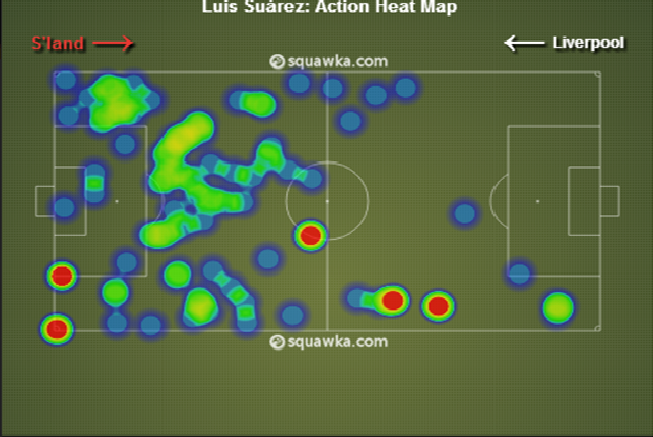 This entry was posted in Analytics, Features and tagged Analytics, EPL, Liverpool, Suarez. Bookmark the permalink.